We are excited to announce EditorsKeys have released two new typing Keyboards with FL Studio support. This includes the FL Studio Backlit PC Keyboard ($129.99 USD) and the FL Studio Slimline Keyboard ($79.85 USD). 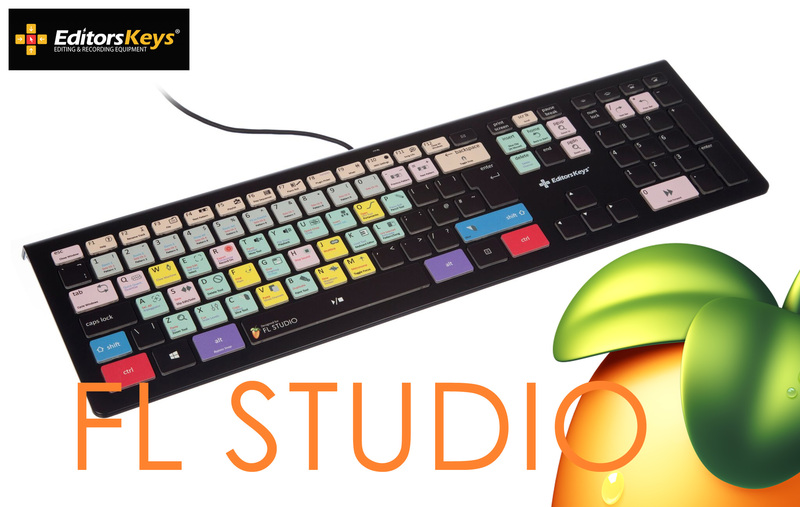 For your chance to win an EditorsKeys FL Studio keyboard, keep an eye out for the official FL Studio 12.3 release! Faster editing means an easier and more productive day-to-day experience. FL Studio's most used shortcut keyboards. PC Compatible. (free USB port required.) Works with all versions of Windows. NOTE: Image-Line is not associated with EditorsKeys, we are providing this information as a service to FL Studio users who may be looking for a custom editing keyboard solution for FL Studio. We are proud to release Tevlo Vocals Resynthesized for Harmor. Following our acclaimed VEELA Vocals Resynthesized and LollieVox Vocals Resynthesized libraries we now bring you the smooth and contemporary voice of Tevlo. Together these are the fastest and easiest ways to add real-time re-pitchable vocals to any project.